The famous writer, the author of "The Moon and Sixpence novel", was at the same time a passionate art collector. 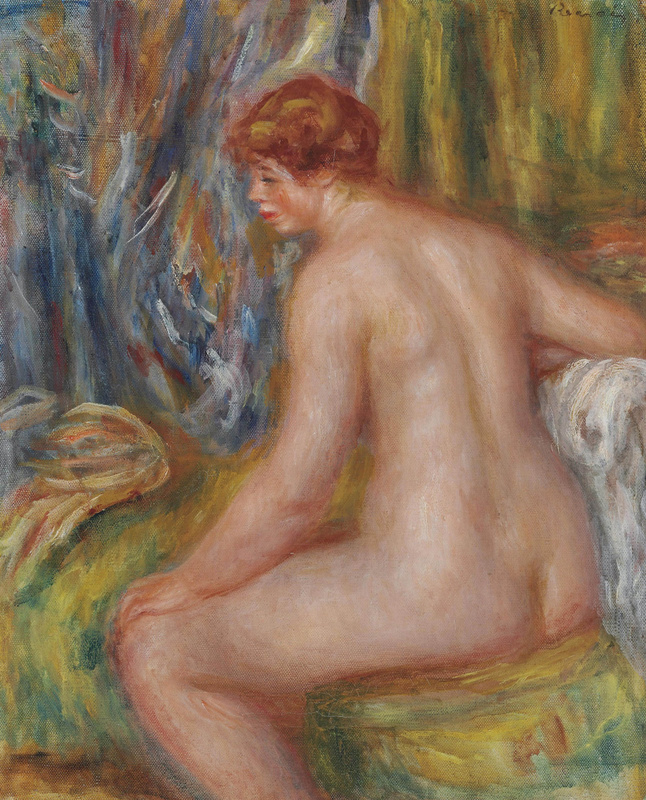 The impressive collection of artworks by Renoir, Gauguin, Toulouse-Lautrec, Matisse, Bonnard, Picasso and Léger was collected by Maugham purely for his own pleasure and decorated his luxurious villa on the French Riviera. When writing, Somerset Maugham strictly scheduled his working hours: each day he worked from 9a.m. till 1p.m. with scheduled 1,500 words to write. Though, he absolutely changed when it came to his collecting passion; Maugham had been very excited till he acquired the artwork which impressed him and sank deep in his mind. it is only love and art that can justify a human being. The Maugham’s collection included artworks by the Impressionist, Post-Impressionist and modernist artists. Since the 1900s the writer had mixed in the best artistic society of London, Paris and New York. 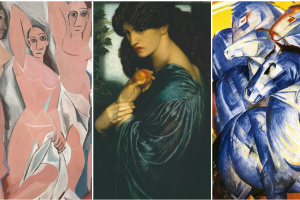 He made the acquaintance of Matisse, Leger and O’Connor; his greatest interest was the inner world of artists. Thanks to Maugham we still take Paul Gauguin as he has been depicted by the author in his novel "The Moon and Sixpence". 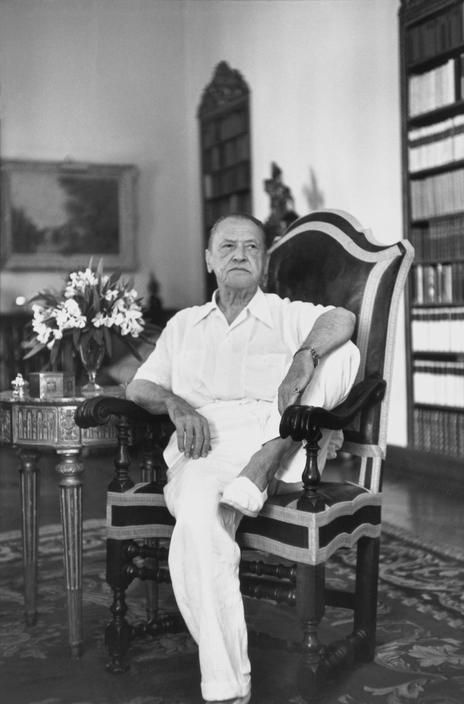 Somerset Maugham wrote 21 novels, more than a hundred of short stories and dozens of plays. He traveled all over the world and visited Europe, America, Far East and islands in the Pacific ocean. He studied medicine and was recruited into the British Secret Intelligence Service. He undertook a special mission in Russia during the February revolution assisting the head of the Provisional Government A. Kerensky. The British Government made an attempt to hinder bolsheviks from taking power and to save Russia as its wartime ally. Though, the mission failed. "It is dangerous to let the public behind the scenes. They are easily disillusioned and then they are angry with you, for it was the illusion they loved." In 1962, the Heinemann publishing house published a volume of picture plates accompanied with a short author’s story about the history of the collection Purely for My Pleasure. 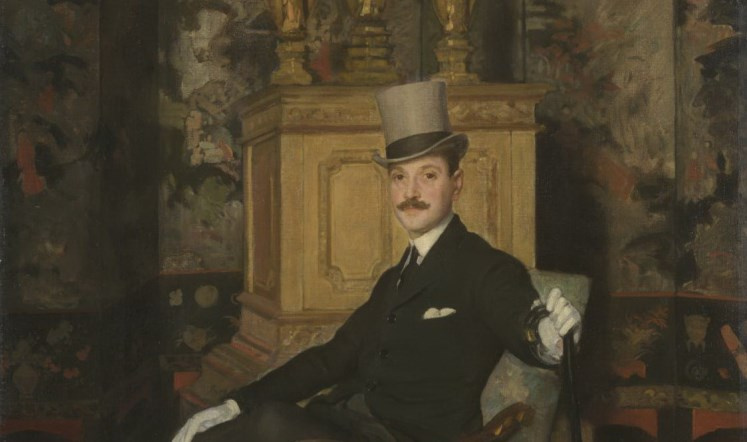 On April 10 of the same year, 35 artworks from the Maugham collection were sold by Sotheby’s for GBP 524,000 with more than 2,500 bidders patricipating. In 1917, Somerset Maugham went on a trip to islands in the Pacific ocean and to the Far East and wrote one of his best novels. 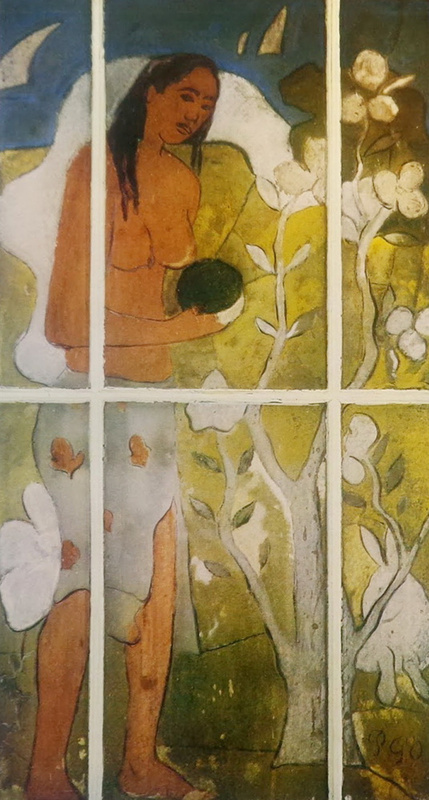 "The Moon and Sixpence" was dedicated to Paul Gauguin’s life-path. "To my mind the most interesting thing in art is the personality of the artist; and if that is singular, I am willing to excuse a thousand faults." "I had long had in mind to write a novel based on the life of Paul Gauguin, and I went to Tahiti in the hope of finding people who had known him and whom I could induce to give me some useful information. I discovered presently that somewhere in the bush there was a hut where Gauguin, being ill, had spent some time, painting there during his convalescence." Maugham found the hut and discovered there three doors painted by Gauguin on their glasses. The children have scratched away the paintings on the two of the doors. He bought it from the owner for two hundred francs. However, in the evening, another man came and said the door was half his. He asked the writer for two hundred francs more which he gladly gave him and brought his valuable luggage to New York and then to France. The Gauguin’s artwork "is very slightly painted, only a sketch, but enchanting. I have it in my writing-room." Paul Gauguin. Eve with the Apple. "I made the acquaintance of Matisse. He was bed-ridden. 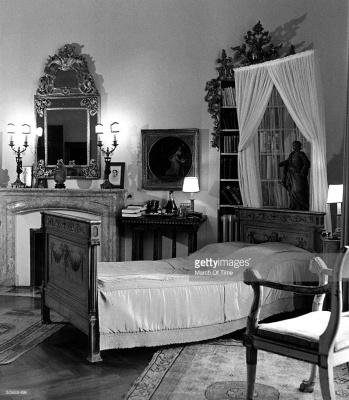 He lay on a great old-fashioned double brass bed, with big brass knobs at the four corners — the sort of bed that fifty years ago husband and wife slept in as a mark of respectability and a proof of the amenity of the marriage state. Matisse liked me to come and see him so that he could ask how they were getting on with the chapel at Vence, for which he had designed the decoration, and each time I left him he begged me to go to Vence again and tell him exactly what the workmen were doing." "On one of my visits, after he had greeted me, he said, ‘look what I did this morning.' He had engaged a model, and on sheets of paper, about nine by twelve, had made line drawings of her head. He had had them pinned up in rows, one row above another, on the wall that faced his bed. I did not count them, but I guessed that there were at least forty. 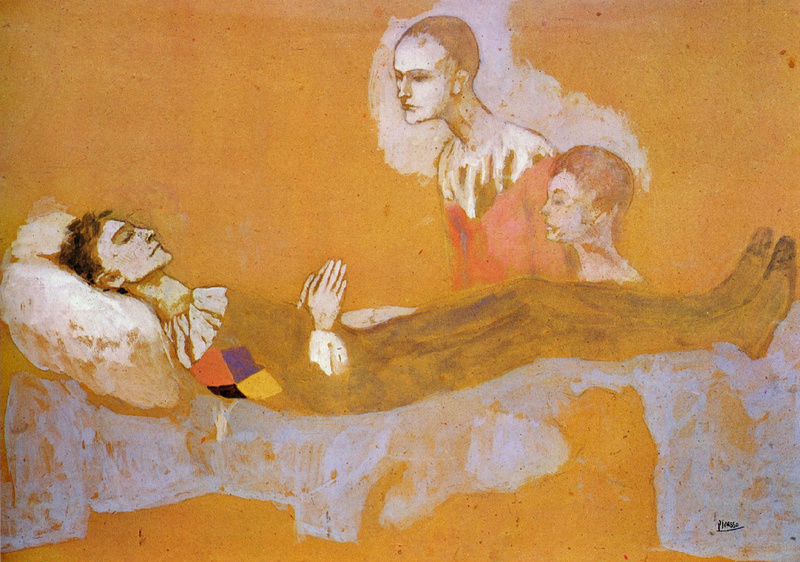 It was an amazing feat for an old man lying in bed to fashion these drawings with such assurance and such distinction. I praised him and he was pleased with my praise. ‘But you must look at them again and again,' he said. ‘You must look at them and look at them, it’s only then you’ll see their power, the depth of thought in them, and their philosophy.' I could only see forty lovely drawings, but I had lived long enough to learn that the artist, no matter what his medium, is apt to see more in his production than is evident to the beholder. I nodded and held my tongue." 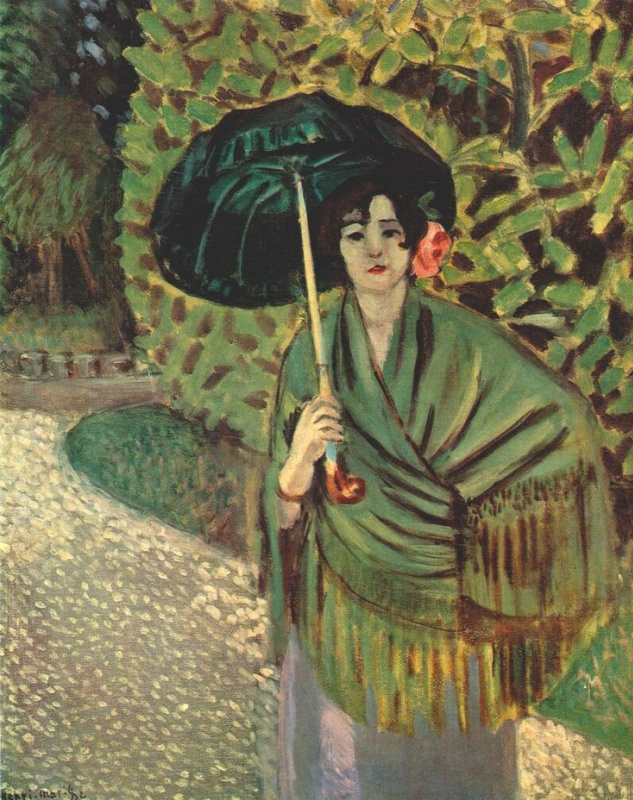 Henri Matisse, The Lady with a Parasol. 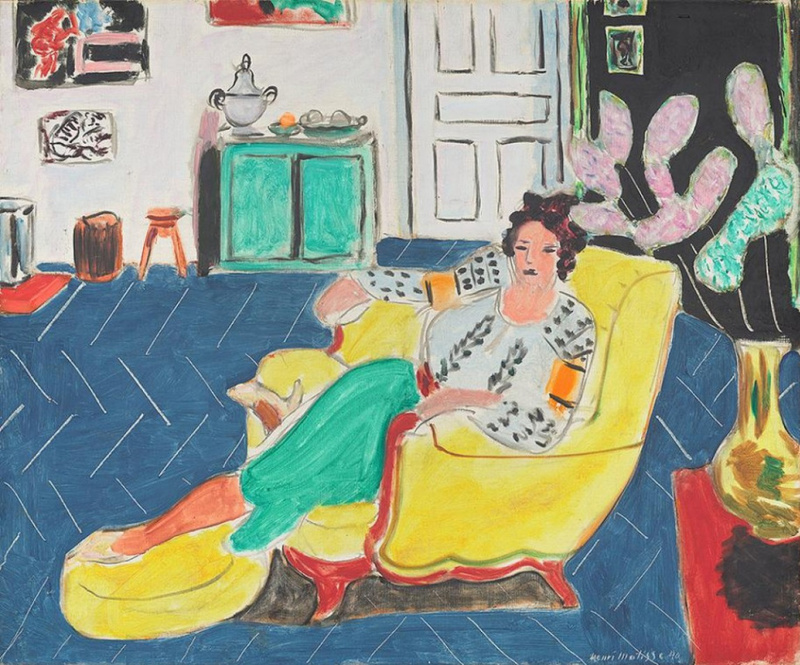 "I bought two pictures by Matisse. One is known as The Yellow Chair. It is one of the most engaging pictures he had ever painted. 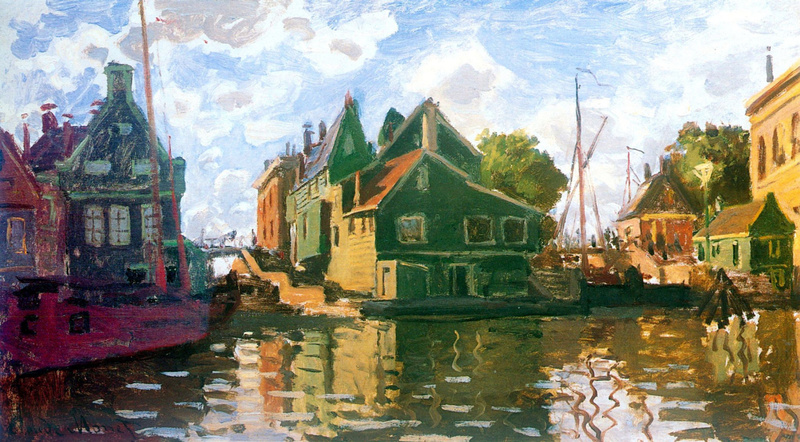 It gave one the impression that a happy inspiration had enabled him to paint it in a single morning. When I said so he told the middle-aged woman who looked after him to bring some photographs. 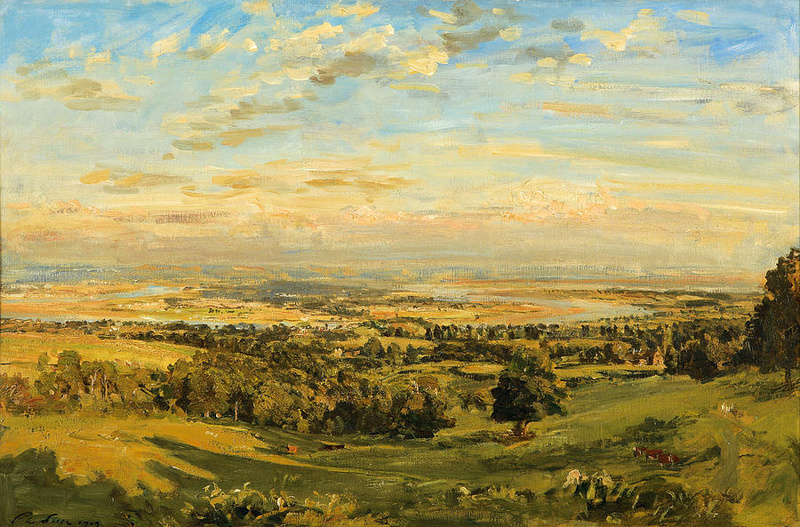 He showed me photographs of the successive states of the picture and told me that he had scrapped his painting down to the canvas three times before he could get the effect he wanted"
"When I was eighteen I entered St Thomas’s Hospital as a medical student. I took two rooms, a bedroom and a sitting-room, on the ground floor of a lodging house in Vincent Square. At that time the illustrated weeklies at Christmas gave their readers a large coloured reproduction [G. H. Barrable, Songs from Italy]. I got one of them, and as a modest decoration pinned it up in my sitting-room." "On one of my vacations I took a trip over to Paris where two brothers of mine, both several years older than I, lived. I had read, re-read and read again Walter Pater’s essay on the Mona Lisa and on my first visit to the Louvre I hurried, full of excitement, past the pictures, till I came to Leonardo’s famous portrait. I was bitterly disappointed. Was this the picture Pater had written about with such eloquence and in prose so ornate? I was too shy to tell the young man that I thought Titian’s Man with the Glove a beautiful portrait and that Titian's Entombment had deeply moved me." 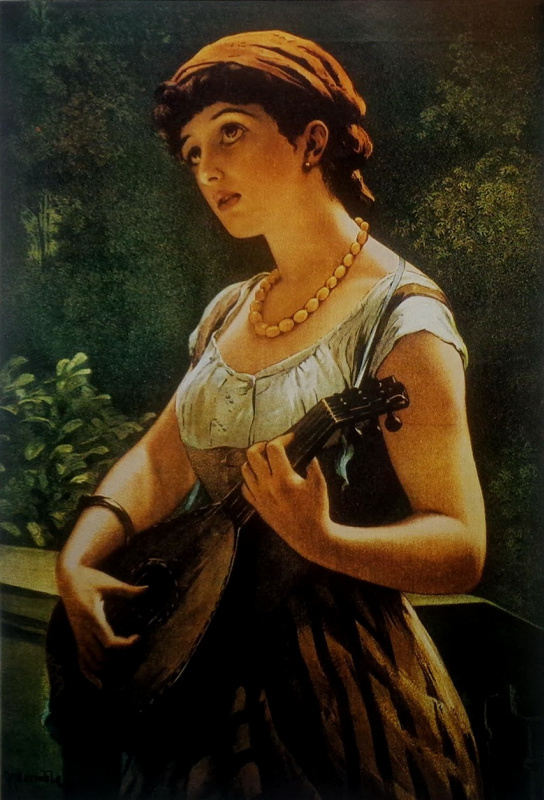 G. H. Barrable, The Songs from Italy. Let’s take our mind off the writer’s collection and pay our attention to his elegant portrait. Since 1914 when Maugham began leading a bohemian life in Paris and befriended with Roderick O’Connor, an artist, their friendship had been lasting for more than 60 years. 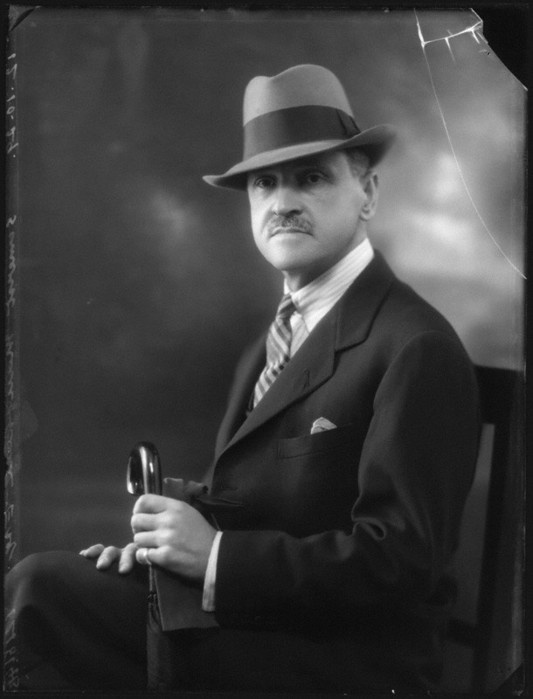 The artist produced the portrait of Maugham in 1904, that time Somerset Maugham had become rather well-known playwriter in England. That day the writer paid his friend a flying visit to show his new stylish top hat. "Time passed. I had abandoned medicine and was an impecunious author. I left London and took a tiny flat in Paris near the ‘Lion de Belfort.' 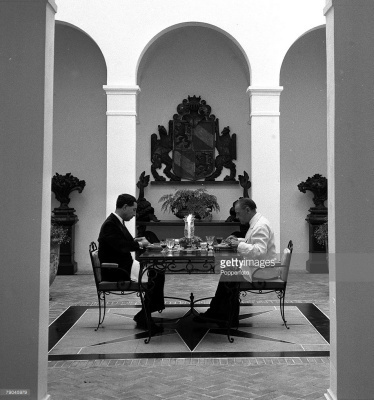 An intimate friend of mine, Gerald Kelly, one day to be President of the Royal Academy, took me to dine at a restaurant where painters, their wives or mistresses, dined every night at small cost in a room that was kept for them." "The most interesting person in this little group was an Irishman, sullen and bad-tempered, called Roderick O’Connor. 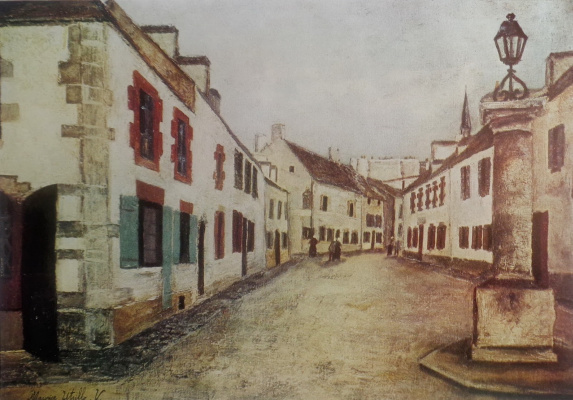 He had spent some months in Brittany with Gauguin, painting, and I, already greatly interested in that mysterious, talented man, would have liked to learn from O’Connor what he could tell me about him; but unfortunately he took an immediate dislike to me which he did not hesitate to show." 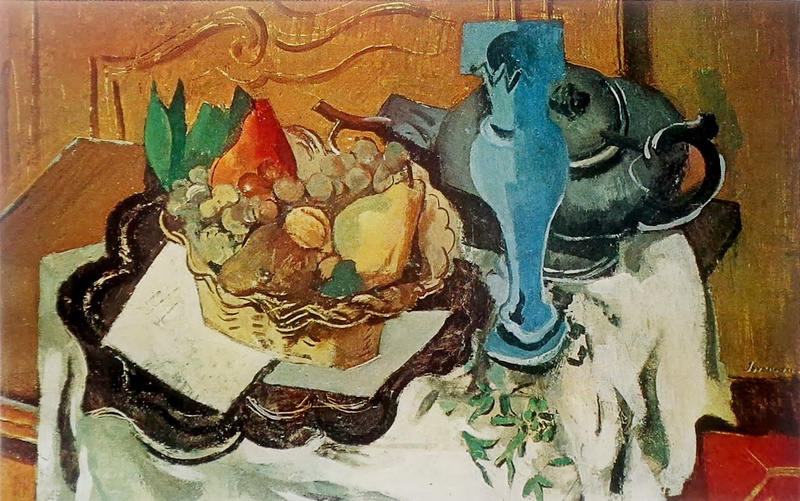 We do not know whether O’Connor told about the time he had spent with Gauguin though we know for sure that Maugham had been able to get in good with the painter. 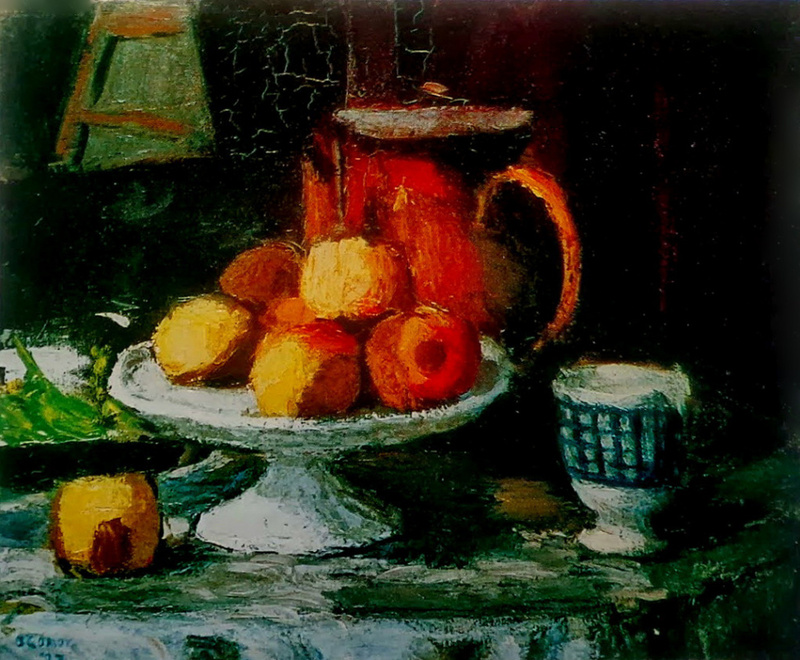 The writer asked the painter to show him his pictures and chose two still-lifes that took fancy of him. O’Connor was taken aback. 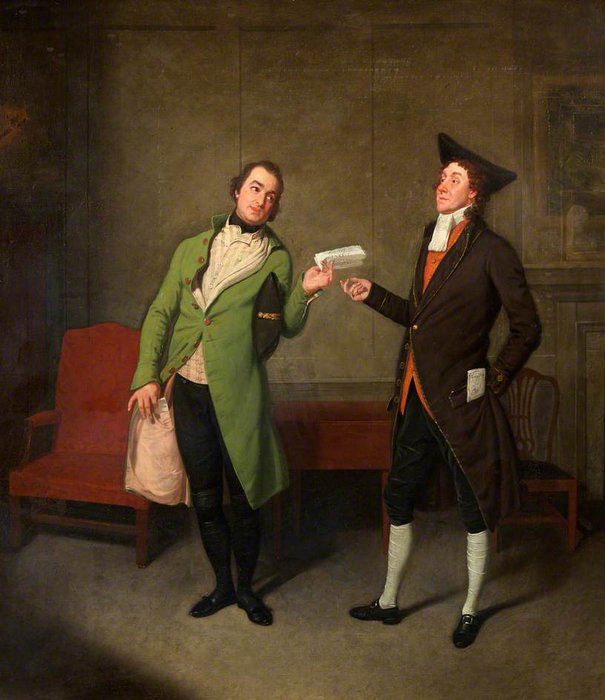 "After a moment’s hesitation, with a sullen look on his face, he mentioned a price, a very modest one, and I took the money out of my pocket and went away with the pictures in my hands. A good many years later I saw a picture of O’Connor’s at the Salon and bought that too. The Irish have produced some lovely poetry and some brilliant plays, but so far as I know they have never been painters of conspicuous gifts. O’Connor had talent, though not a great one, and it is good to know that now he is appreciated in Ireland. I don’t think, however, that this would have pleased him: on the contrary, I think it would have infuriated him". "Then, by a happy accident, a play of mine which had been refused by manager after manager, was put on at the Court Theatre and was a success. It was followed by other plays, light comedies, with the result that I became in a modest way affluent. I had come to know Wilson Steer and used sometimes to go and see him. I bought two of his landscapes." 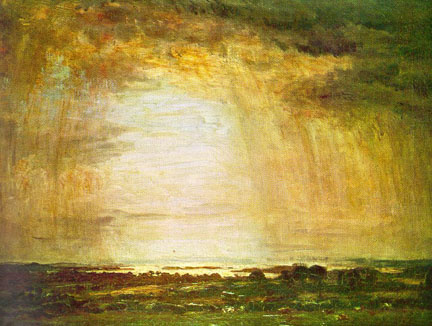 Wilson Steer, the Effect of Rain, Corfe. "Wilson Steer was extravagantly praised during his lifetime and to-day is unwarrantably depreciated. I was delighted with my two pictures." "Man has always sacrificed truth to his vanity, comfort and advantage. He lives not by truth but by make — believe… "
Somerset Maugham became notorious for his bisexuality. That time homosexuals were persecuted in England. So, Maugham left London and moved to America and then to France. 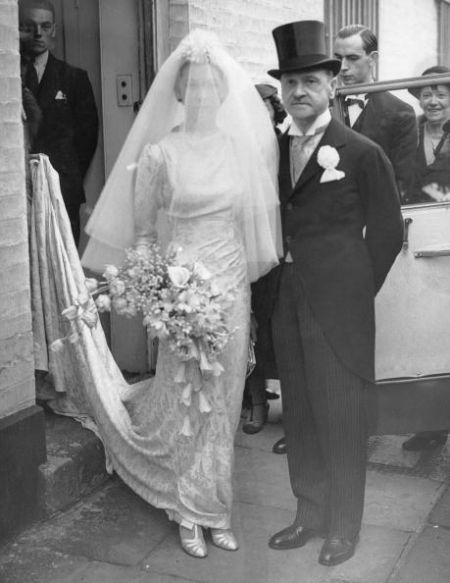 "..for some time I had amused my imagination with pictures of myself in the married state, — wrote Maugham in his book The Summing up, — There was no one I particularly wanted to marry. It was the condition that attracted me. It seemed a necessary motif in the pattern of life that I had designed, and to my ingenuous fancy… it offered peace;… peace and a settled and dignified way of life. I sought freedom and thought I could find it in marriage". 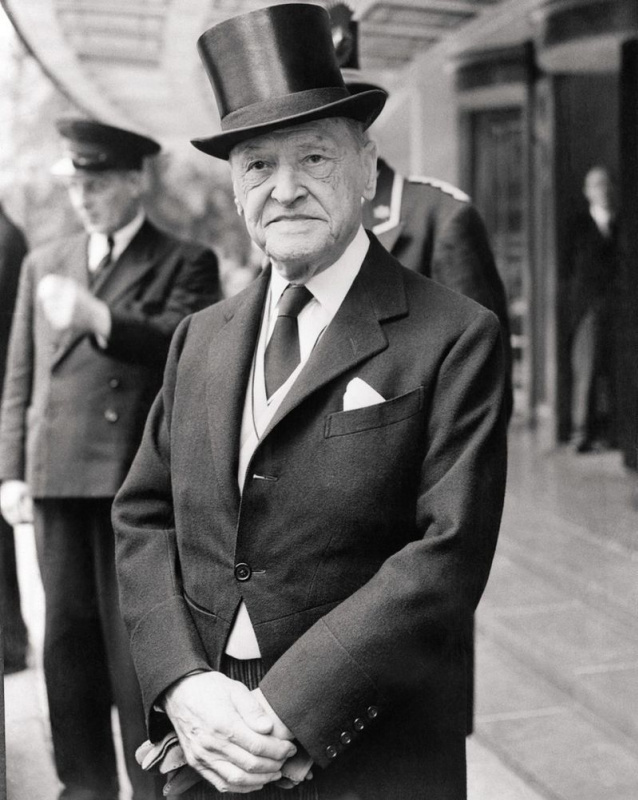 Maugham did not hide his homosexuality even when he was married. 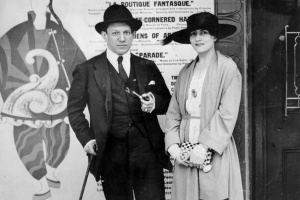 In 1917, he married to Syrie Wellcome, they had a daughter Liza. He continued his sexual relations with men, and in 12 years they divorced. 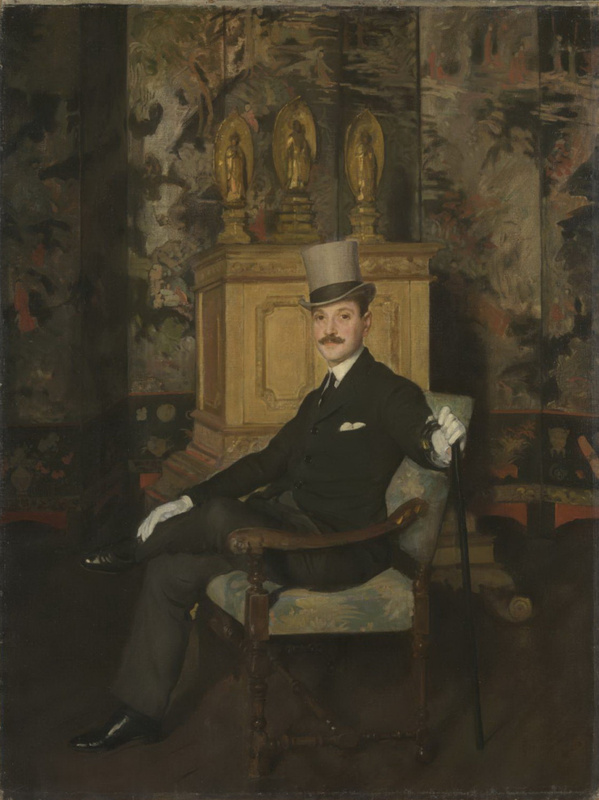 When Maugham lived in Paris he made the acquaintance of a lot of art dealers. Following the recommendation of one of them, Alphonse Kann, he bought the artworks by Jean Joveneau, who was a student of George Braque. That time he was starving. 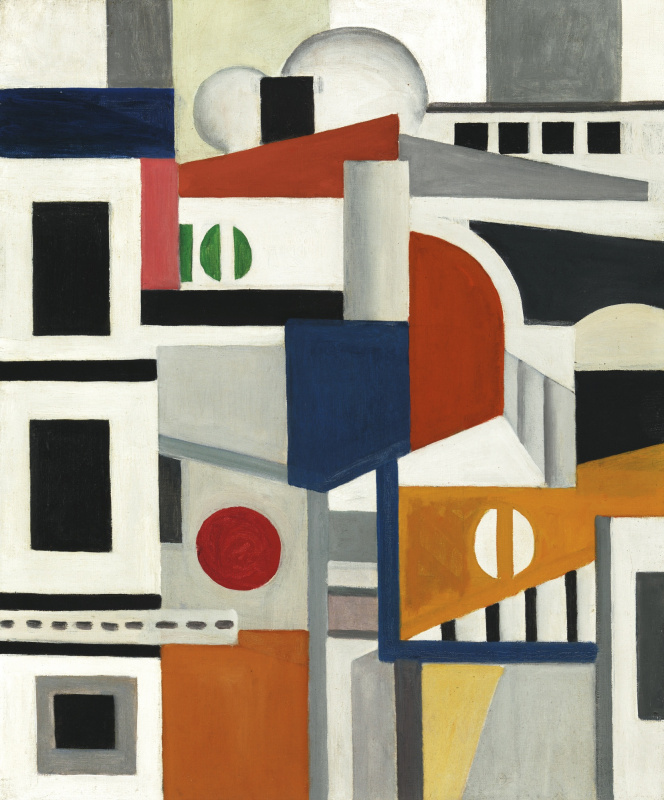 He also bought a painting by Fernand Léger. 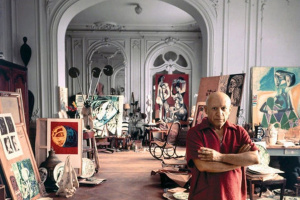 "He was a jovial, friendly man, but, like all painters then, desperately hard up. I bought an abstract picture which Lèger called Les Toits de Paris. My friends mocked and asked me why I bought that fantastic composition." 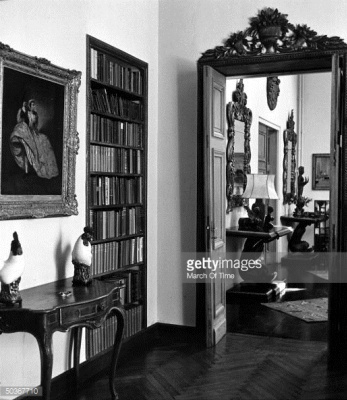 In 1926, the writer bought Villa Mauresque at Cap Ferrat on the French Riviera. It had been constructed for Félix Charmettant, the former missionary and chaplain to Leopold II, King of the Belgians; Villa La Mauresque became Maugham’s main residence until his death in 1965. 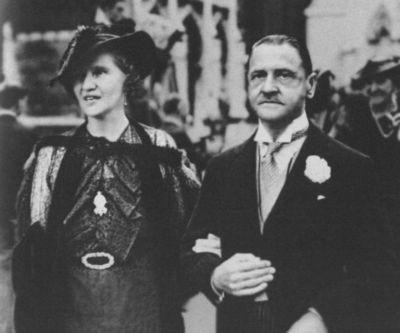 When a lawyer proposed Maugham to include his daughter Liza in the will, the novelist refused and answered that he had read the King Lear by Shakespeare. 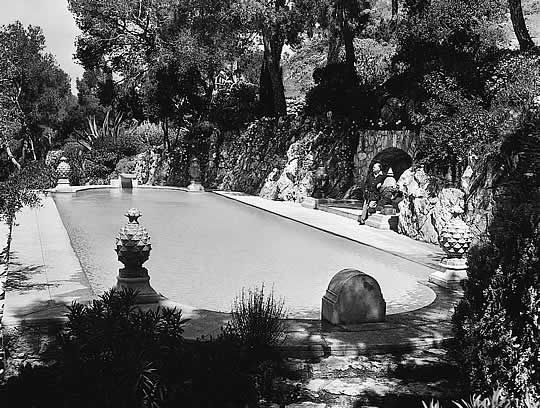 During World War II, after Riviera had been occupied by the Mussolini’s troops, Maugham abandoned the Villa by the last ship. When he backed after the War his villa had been ravaged; the art works disappeared (except the paintings, which had been removed to another location), porcelain lining of his swimming pool was broken, an unexploded shell was in his bedroom and his wine cell was empty. 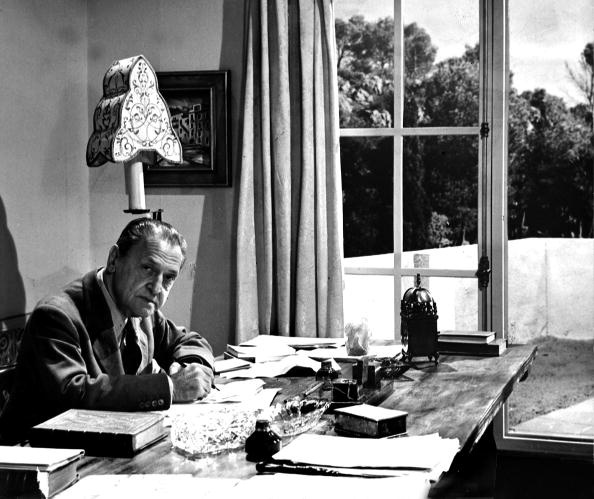 Maugham restored his villa and soon it became renowned for its lavish hospitality; La Mauresque received most of the celebrities who visited the Riviera: Winston Churchill, T. S. Eliot, Rudyard Kipling, Arnold Bennett, Ian Fleming and Jean Cocteau were among them. On the way back to the villa an amusing event happened to the writer on the chekpoint. Maugham was aware that his mansion was ravaged so he bought some necessary things he could need there and packed them in 12 large boxes. In Marseille a team of customs officers inspected his luggage and their chief checked his documents. When he saw his name in his passport he asked whether Mr. Maugham was the author of the Gone with the Wind. Maugham could not lie openly and arrogantly, so he did not answer neither positive nor negative but only with a sheepish smile, authors usually present their readers for their sugary compliments, he kept silence. The customs officer with no delay marked all his luggage with white crosses and let him go. "In business sharp practice sometimes succeeds, but in art honesty is not only the best but the only policy." "I bought myself a house on the Riviera, the house I live in now, and brought my theatrical pictures from England. 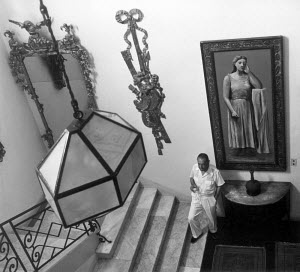 I hung some of them in my sitting-room and others on my staircase. For my dining-room I bought Provençal furniture and on the walls hung pictures by Marie Laurencin that I had bought some years before. The effect was pleasing and indeed was much admired. 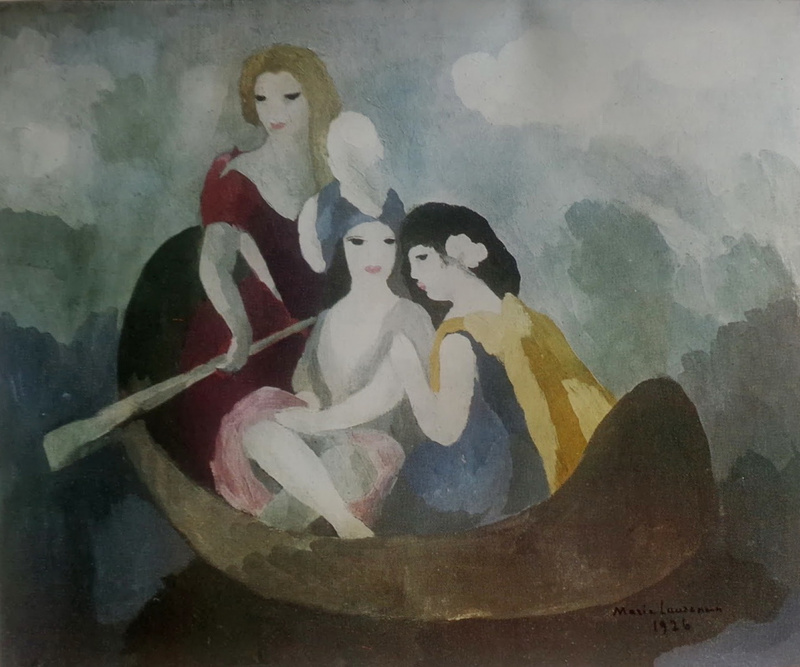 One day Marie Laurencin called me up and said that she had heard how I had used her pictures and would like to come and see them herself. I asked her to lunch and she came… with a good-looking man who, I presumed, was then her lover. There were four pictures in the room. She looked at the first [The Rowing Boat] and smiled. ‘What a pretty little thing,' she murmured. 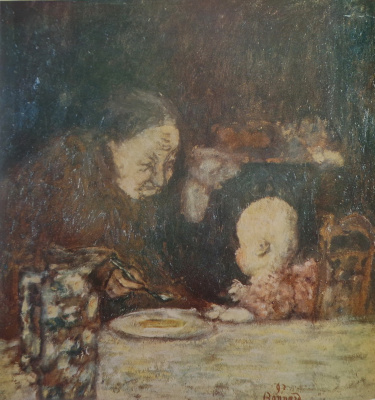 At the second [Mother and Daughter] she said but one word: ‘Exquisite!' The third picture [Young Girl with a Fan] faced the door. She gasped. She turned to me as though I were responsible for it. ‘There can be no doubt about it,' she cried. ‘It's a masterpiece." 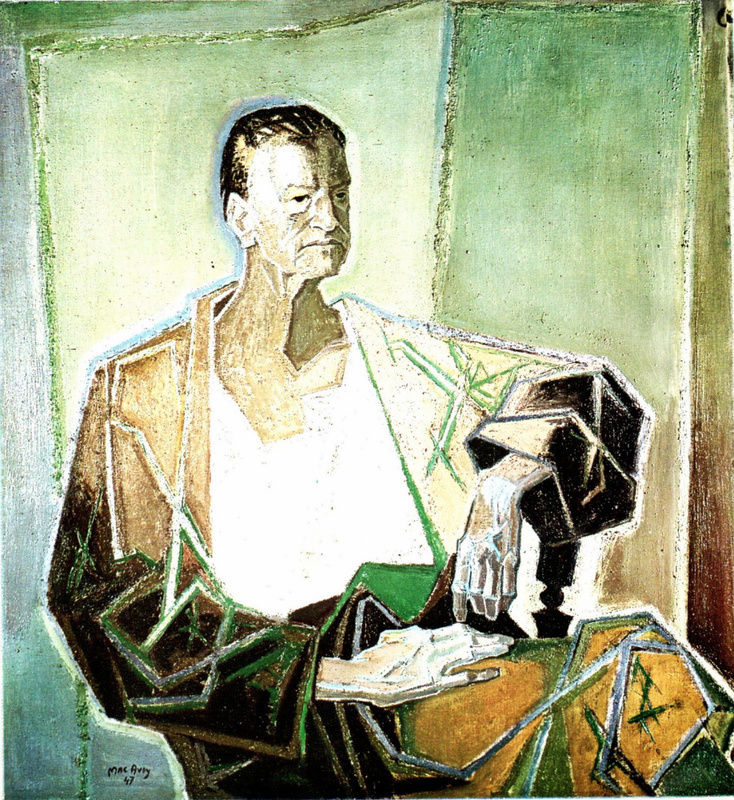 Somerset Maugham had a fellow feelings for the painter and did not accept her adoration of her own paintings as vanity; on the contrary, he liked her naivety. 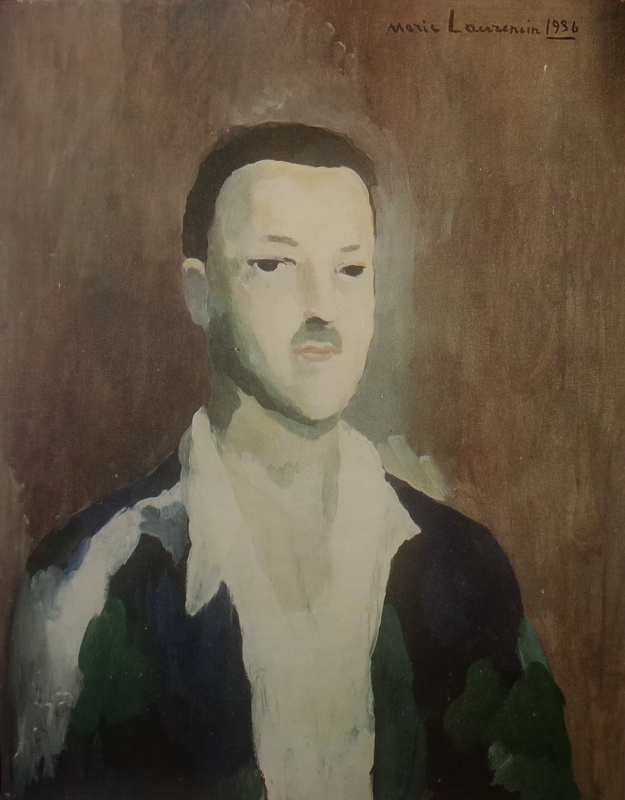 Some years afterwards, Marie Laurencin produced the portrait of Somerset Maugham and presented it to him. 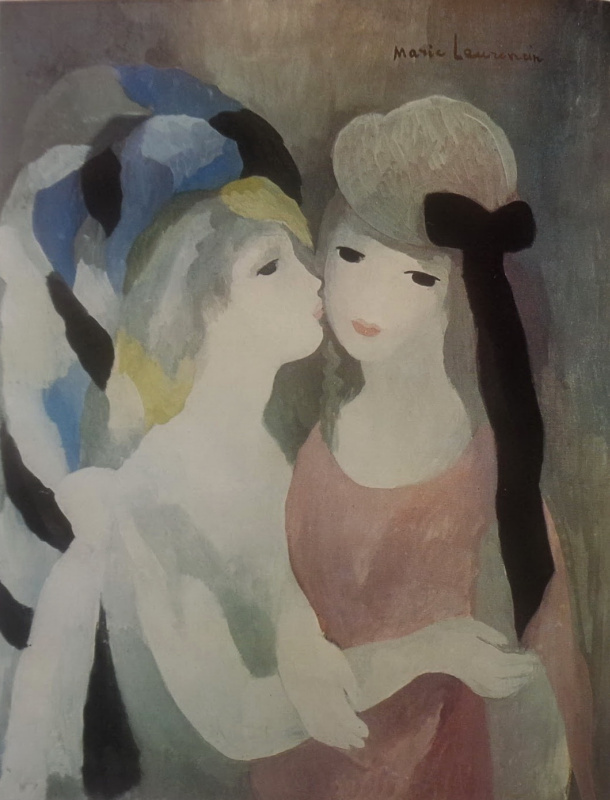 Marie Laurencin, the Young Girl With a Fan. 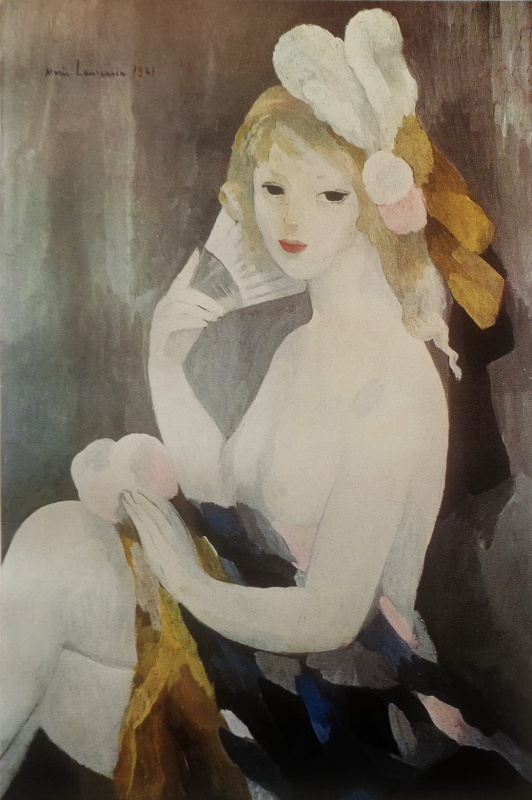 Marie Laurencin, the Portrait of W. Somerset Maugham. When the World War II broke out, Somerset Maugham moved his collection to a safe location and went to America where he lived in New York till the end of the War. In 1944, his bestseller The Razor’s Edge was published. The Twentieth Century Fox Film Company purchased the rights for screen version of the novel and invited Maugham to the Hollywood to assist with the script writing. The wire read that the writer was invited for two weeks and he had the right to announce the sum of his royalty. Somerset had been working for two weeks and another three months to produce a script satisfactory for him. When the writer told Darryl F. Zanuck, the Vice-President of the Company, that he did not need payment for his work, the latter felt abashed and deeply surprised; nobody had agreed to work for him without any payment. Then Darryl decided to make present to the novelist. Darryl asked Maugham’s friend George Cukor what would be the best way to thank the novelist for his job. Darryl suggested that it could be a golden cigar case. Cukor answered that Maugham had had it. Than Zanuck assumed he could offer the writer a car. The answer was the same; Maugham did not need a car as he had had it. Darryl was in despair and the painter suggested that the best gift for the writer could be an artwork. 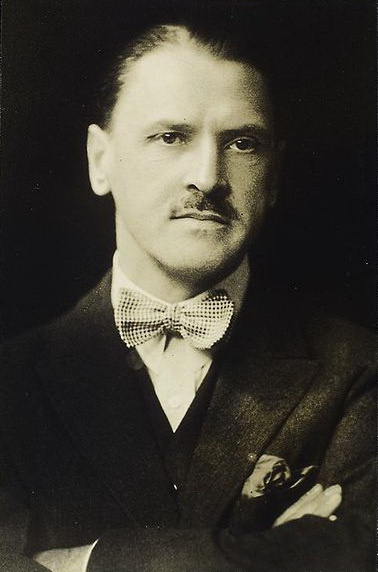 Instead of the fee for his script (which had not been used by the Film Company) Somerset Maugham was offered to choose an artwork at the price of $15,000. Maugham had never bought an artwork for such a price so he was thankful to Darryl Zanuck for such offer. 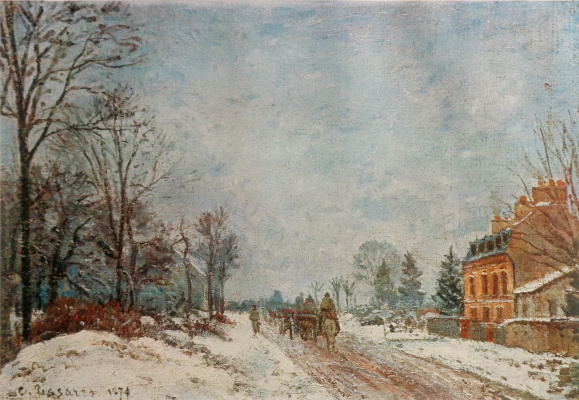 He bought the Lady with a Parasol by Henri Matisse, A Winter Landscape, Louveciennes by Camille Pissarro, and the View Outside Paris by Stanislas Lépine. Why particularly these artworks and how did they turn out to be in the collection of Somerset Maugham? When in New York the writer asked his friend, the director of the Museum of Modern Art (MoMA) to assist him in purchasing artworks. They spent some days in search of some. "There was one picture that particularly attracted me. 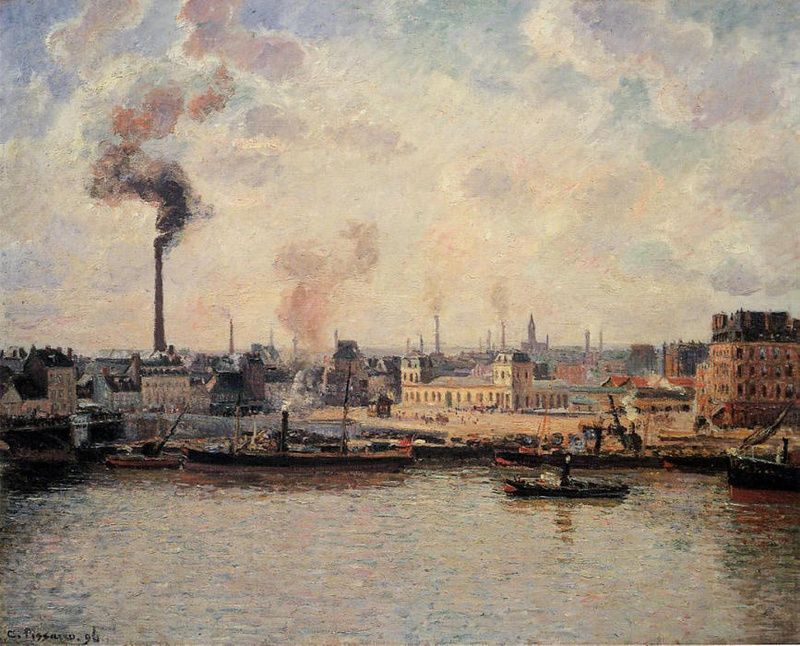 It was a scene of the harbour at Rouen by Pissarro. It may not have been such a fine picture as others I saw, but it pleased me. After all, Flaubert was born at Rouen and, when he was writing Madame Bovary he must often have paused to look at the lively view. It existed no longer, for Rouen had been badly bombed during the war. Finally, however, on the advice of my friend, whose judgment was sounder than mine, I bought a snow scene by Matisse. But I could not get the Pissarro out of my mind; I thought I should always regret it if I did not have it, so I exchanged the Matisse for it." 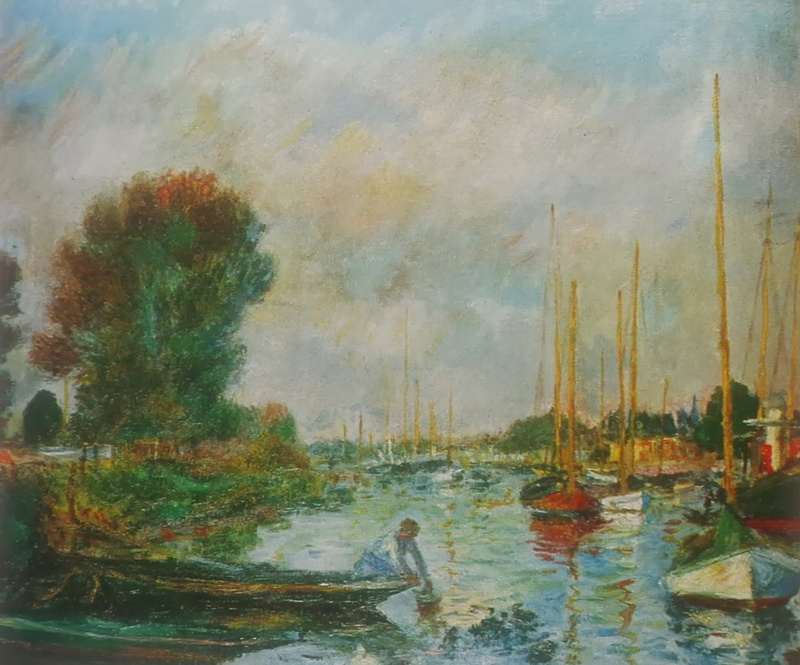 "A little later I bought a Boudin, not one of those charming little pictures of fashionable women on the plage of Trouville, which he painted to earn a living, but a picture of water and trees. It moved me because I recognized in it a little piece of France that tourists seldom visit, but which I have been familiar with since my childhood." 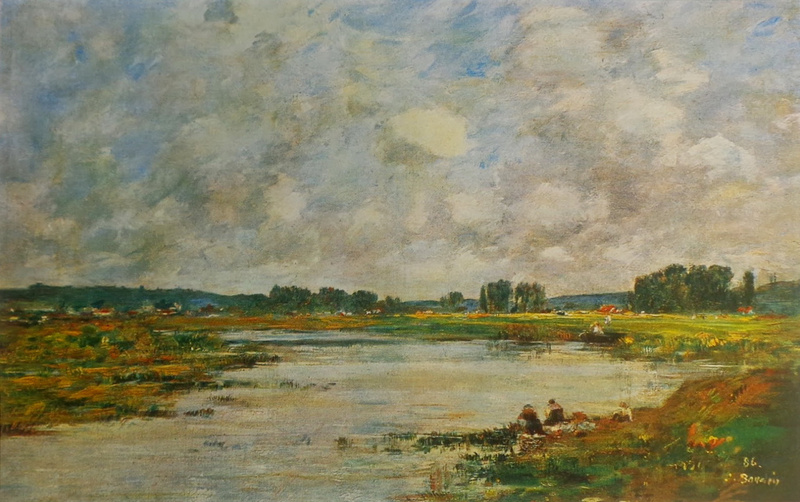 Eugene Boudin, The Banks of the River Loques, Calvados, 1886. 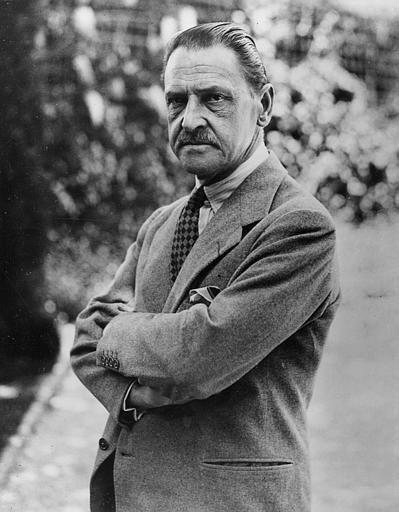 Maugham visited New York two times and bought there the artworks by Édouard Vuillard, Georges Rouault, Pierre Bonnard and Pierre-Auguste Renoir. 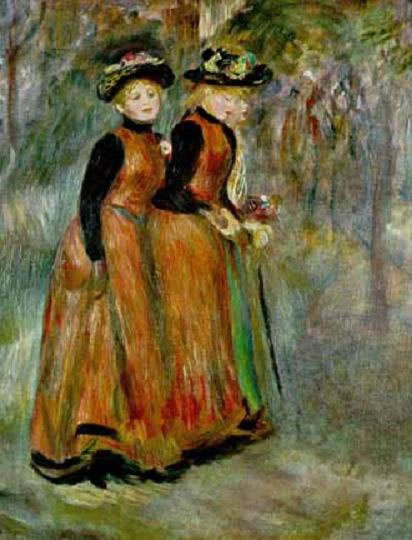 Pierre-Auguste Renoir, the Trois Jeunes Filles en Promenade. 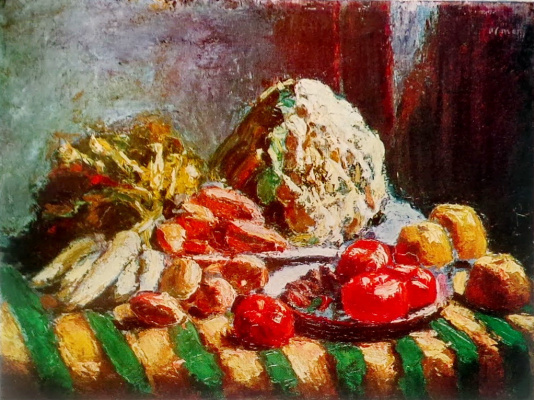 "Renoir lived on the Riviera not very far from where I lived myself and the story went that his favourite model was his cook. When he had done his day’s work he would say to her, ‘Now run along, put your clothes on and get down to cooking the dinner." "On my last visit to New York I had seen at a dealer’s Picasso’s The Death of Harlequin and was fascinated by it. It was a deeply moving picture. But it cost a lot of money and to restore my house had proved expensive. I could not afford and returned, disconsolate, to France. But I kept thinking of the picture; I wanted badly to possess it. It was a lovely thing. I felt I should regret it all my life if it was snapped up by somebody else. At last I said to myself, ‘damn the expense,' and made the dealer an offer. 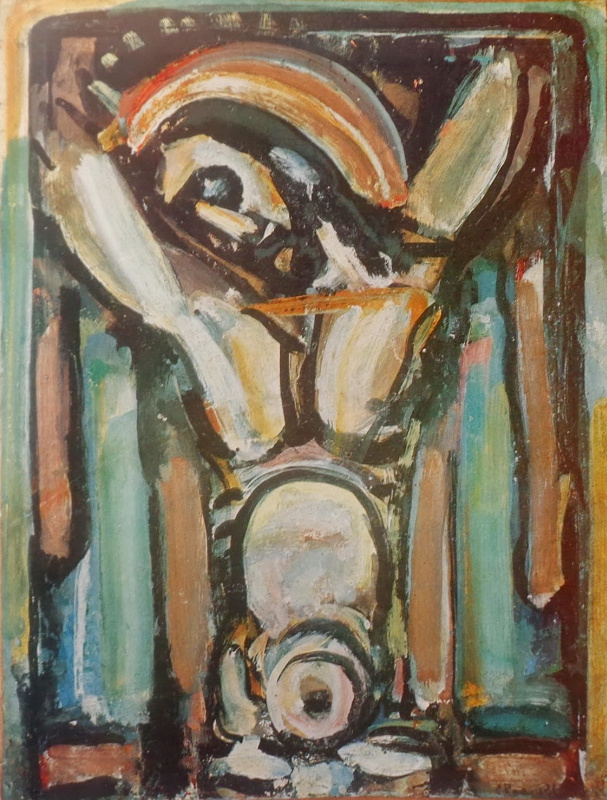 I knew that he had a monumental picture of a standing woman, also by Picasso [La Grecque], which was not an easy object to dispose of and I was aware that he had had it for some time. I had the exact place in my hall to put it and, thinking it would tempt him, included it in my offer. To my delight he took it and the two pictures eventually reached me." "Genius is an infinite capacity for taking pains." 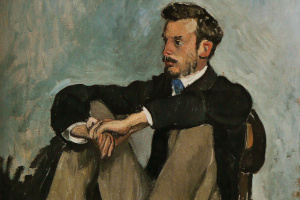 Once Maugham bought Le Polisseur by Toulouse-Lautrec. The price was very reasonable. The dealer who sold it to him told Maugham that he could have got three times the price he asked him if it had been the picture of a woman. 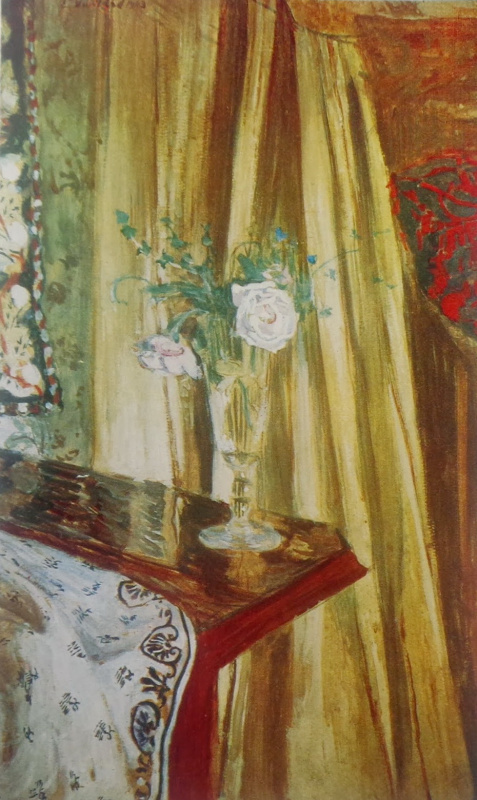 Somerset Maugham often asked the experts who came to see his pictures whether they could guess who had painted it. Only one of them could. 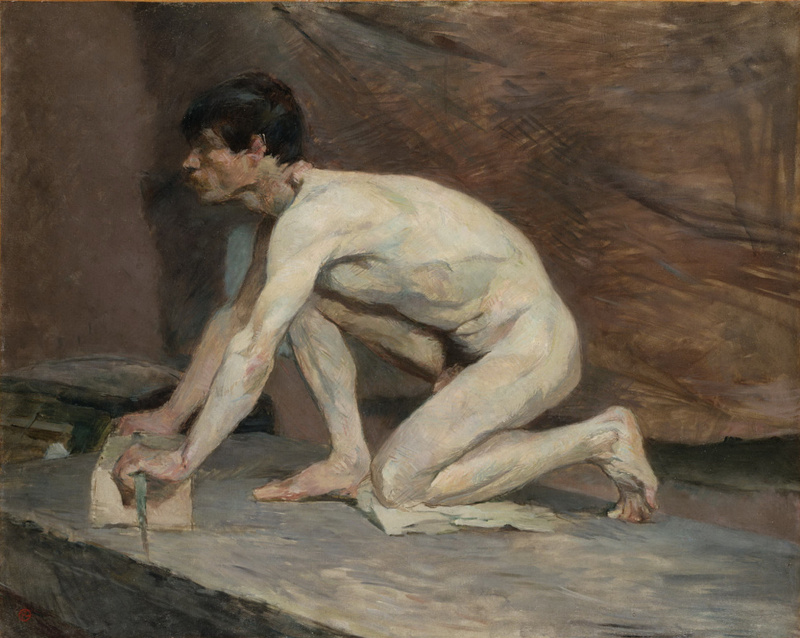 "My old friend, Sir Kenneth Clark, looked at it for two minutes and then said, ‘No one could have painted that head or that foot but Toulouse-Lautrec,' and of course he was right." 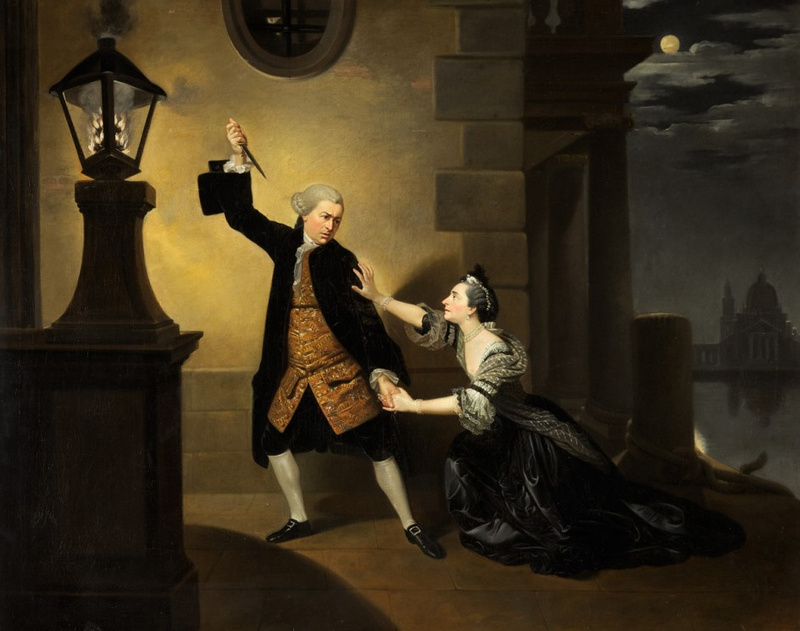 Maugham also collected theater paintings and artworks related to the theater. He highly estimated his collection and intended to give it to the National Theater in London. 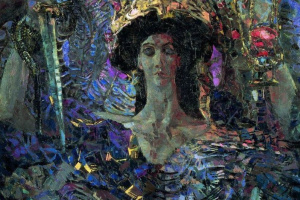 He moved his collection to the Theater in the 1950s, though that time the Theater was under construction and his collection was taken by the National Theater after the writer’s death. 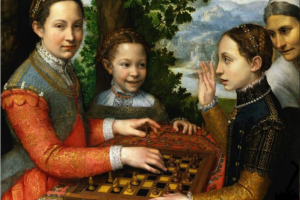 When a temporary exhibition was held almost 30 years ago, four paintings were stolen, and one never recovered. 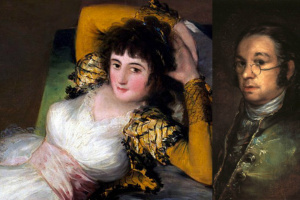 So it was clear that the National Theater would have a lot of troubles to keep the paintings safe and they were given to the Holburne Museum or Art in Bath. The scene of the tragedy Thomas Otway "Venice Saved"
The book The Secret Lives of Somerset Maugham by Selina Hastings was published not long ago. The writer became the first biographer who had an access to the private correspondence of the famous novelist and playwriter. 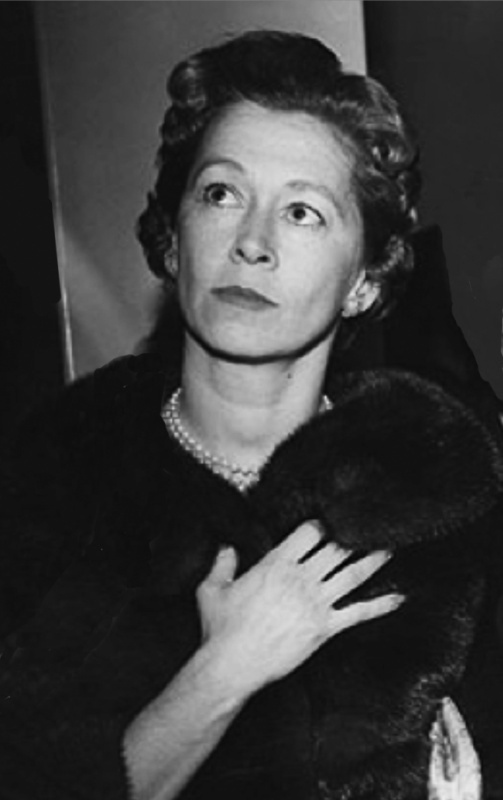 In one of her interviews, Hastings shared her impression from the nature of the writer and his hidden features of the character. According to Selina Hastings, Maugham intended to hide his inner world; in reality he was a passionate, sensitive and emotional person. He positioned himself completely different as a cynical personality as if there were nothing sacred with him. That was far beyond the truth. In reality he was moral, courageous and reasonable. Nothing in a human nature could surprise him. The biographer told that at his old age the writer suffered with a thought disorder. That could likely explain his odd behavior that time. In 1962, Maugham disclaimed Liza as his daughter and intended to disinherit her. He made an attempt to adopt his secretary Alan Searle and to settle his property on him. His daughter filed a lawsuit and the court ruled in Liza’s favor, she could not be disinherited and the attempt of adoption of the secretary was invalid. 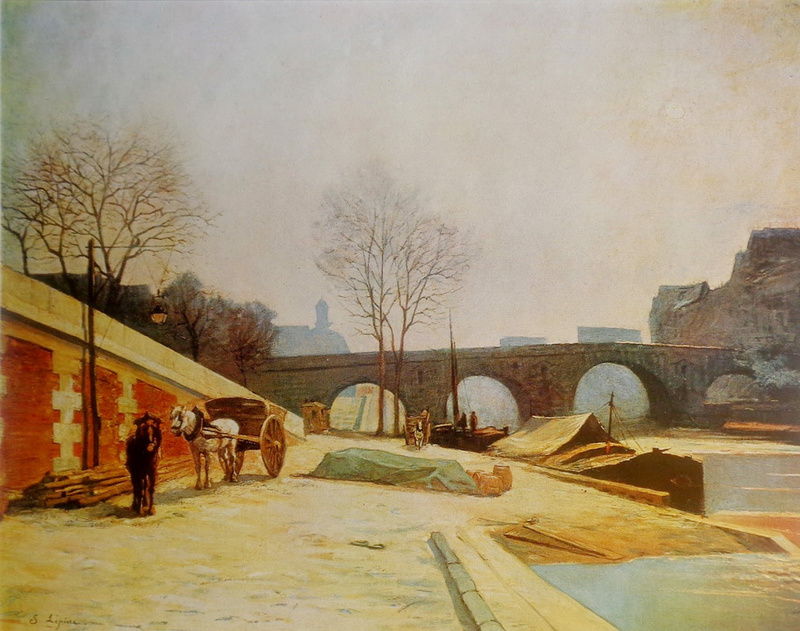 by Stanislas Lépine, the River Scene. "I have placed my bed so that I can see it when I awake in the morning and see it before I close my eyes for the last time." He did it purely for his pleasure. "It's a very funny thing about life; if you refuse to accept anything but the best, you very often get it." Сердечное спасибо за интересный, познавательный материал! Thanks for posting. 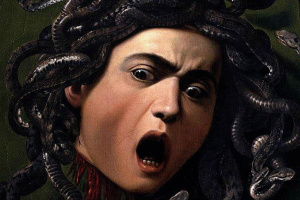 Love this writer, and now even more value for passion for fine art. Спасибо за публикацию. Очень люблю этого писателя, а теперь еще больше ценю за страсть к изобразительному искусству. Irina, as always, pleased! THANK YOU VERY MUCH!!!!!!! Ирина как всегда порадовала! СПАСИБО ОГРОМНОЕ!!!!!!! Спасибо! Моэм - мой любимый писатель, но о его любви к живописи я ничего не знала (хотя могла бы догадаться :) ). Очень интересный материал! Спасибо! Thank you for the very interesting article. Very interesting. Ирина, спасибо за вашу замечательную работу. Увлёкся я Моэмом в 1963 году. Работал заграницей. Купил все его книги и перечитываю их постоянно в оригинале. Ваша замечательная подборка иллюстраций открыла мне того Моэма, которого я не знал. Большое Вам спасибо! Спасибо за замечательную статью и качественные иллюстрации! Познавательно и приятно.